Mizoram: The Centre had sanctioned Rs 126. 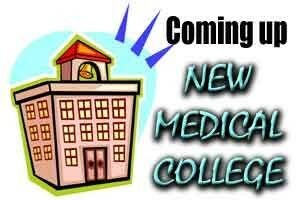 72 crore for setting up the first and only medical college in Mizoram but the state was yet to receive the entire amount, state health minister Lal Thanzara informed the assembly today. Replying to a question from Dr K. Beichhua of the opposition Mizo National Front (MNF), Lal Thanzara said that of the sanctioned amount, the state government was yet to receive an allocation to the tune of Rs 24.7 crore. He said that the expenditure incurred for establishment of the medical college, to be named as Mizoram Institute of Medical Education and Research (MIMER), till date was Rs 18.06 crore. The MIMER was being established at Falkawn, near Aizawl and 90 percent of the civil work such as construction of the building and approach roads, had been completed, he said.